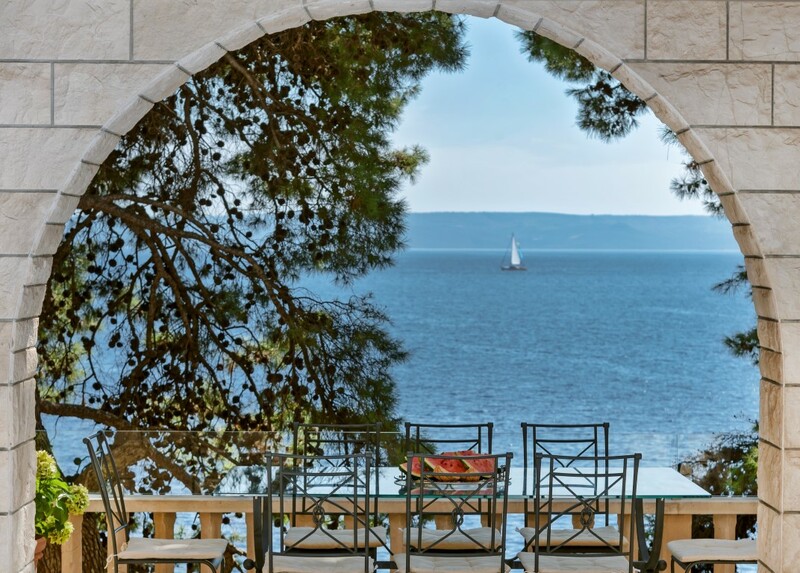 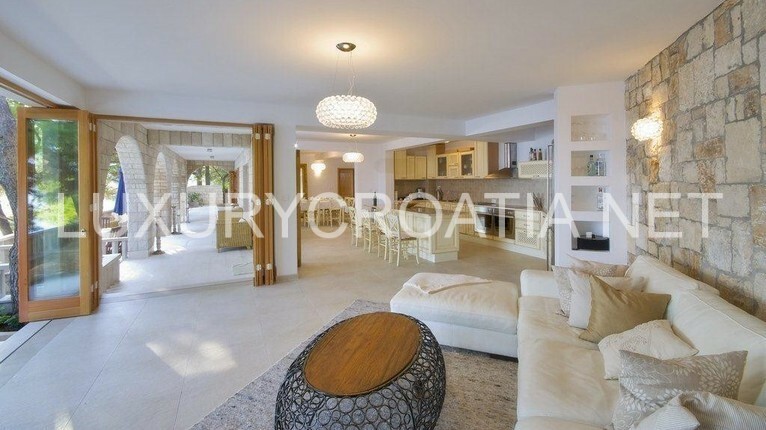 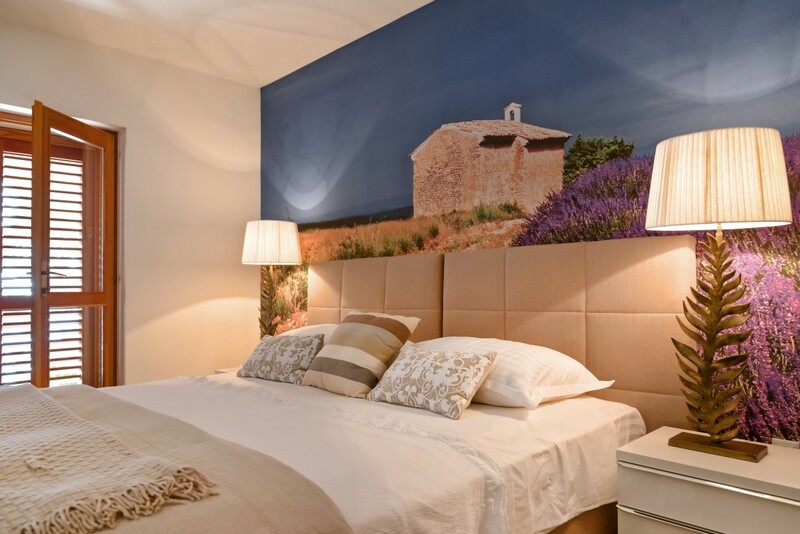 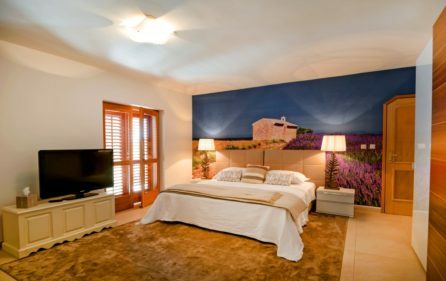 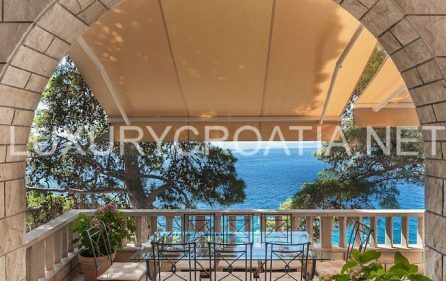 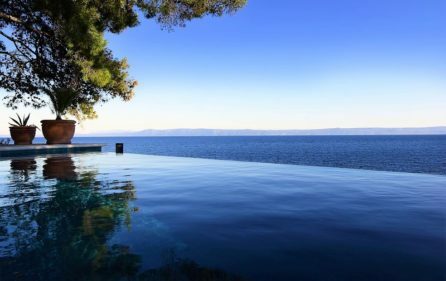 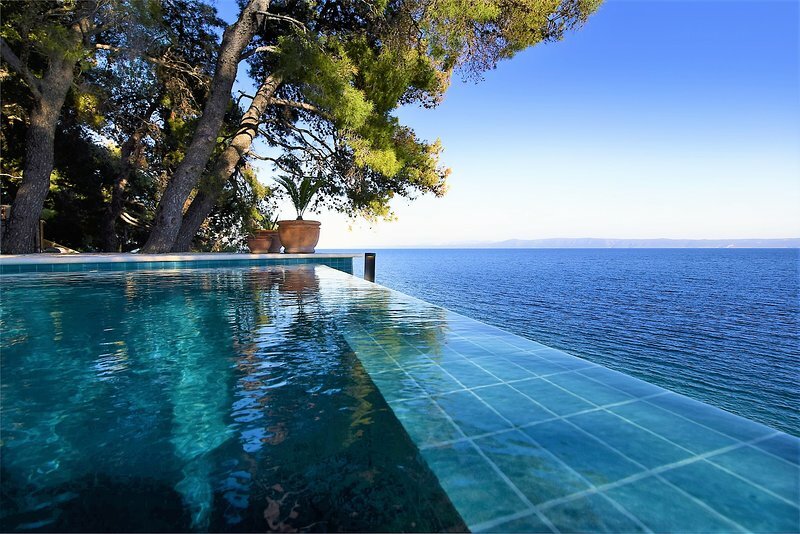 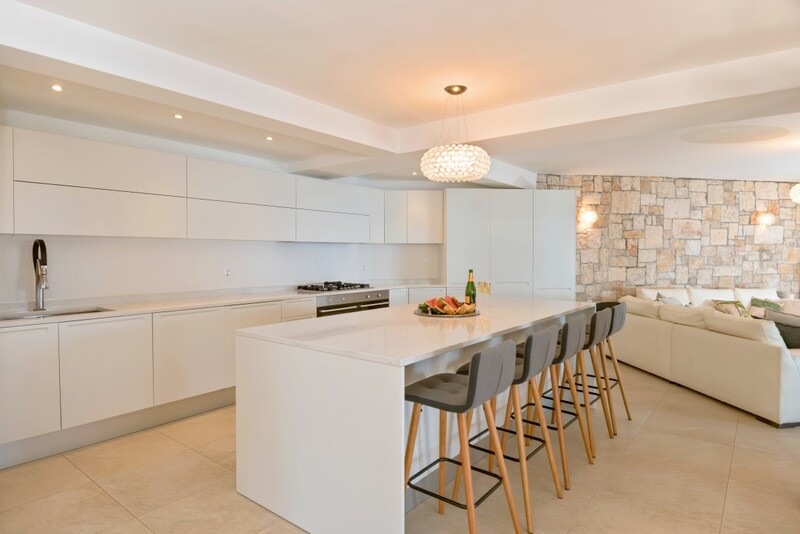 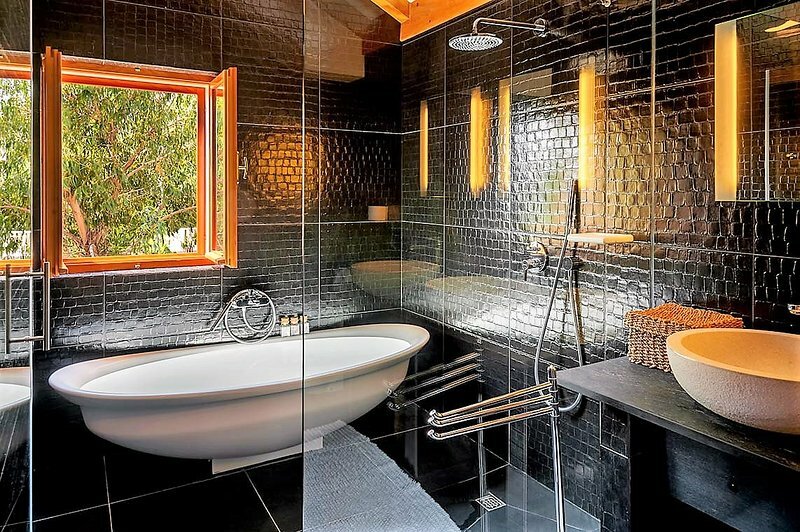 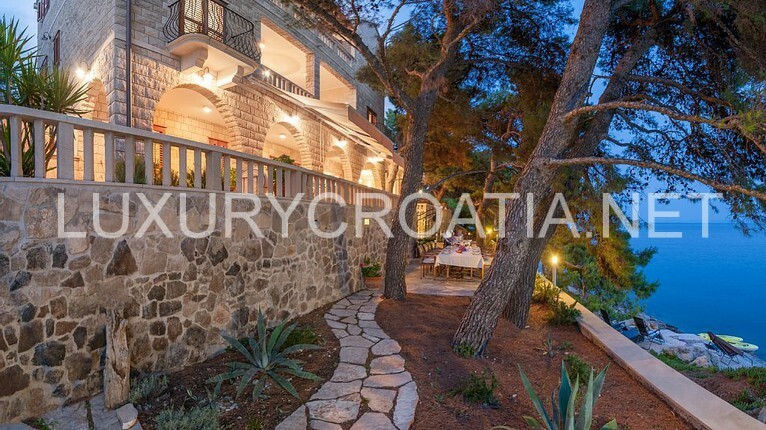 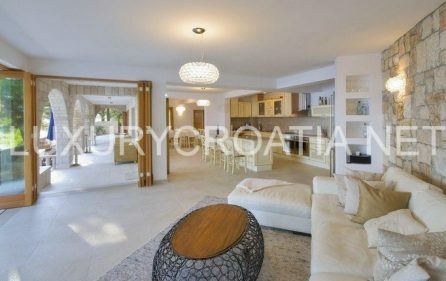 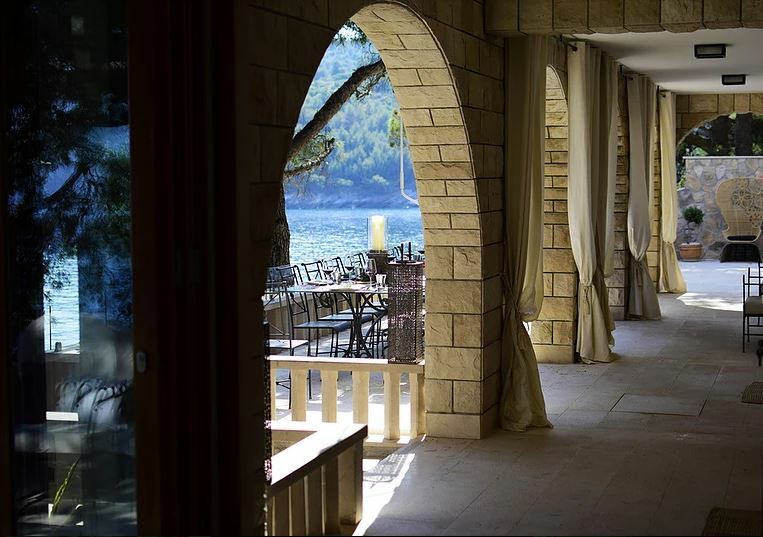 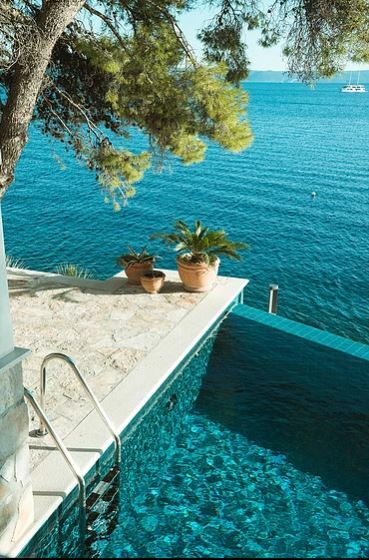 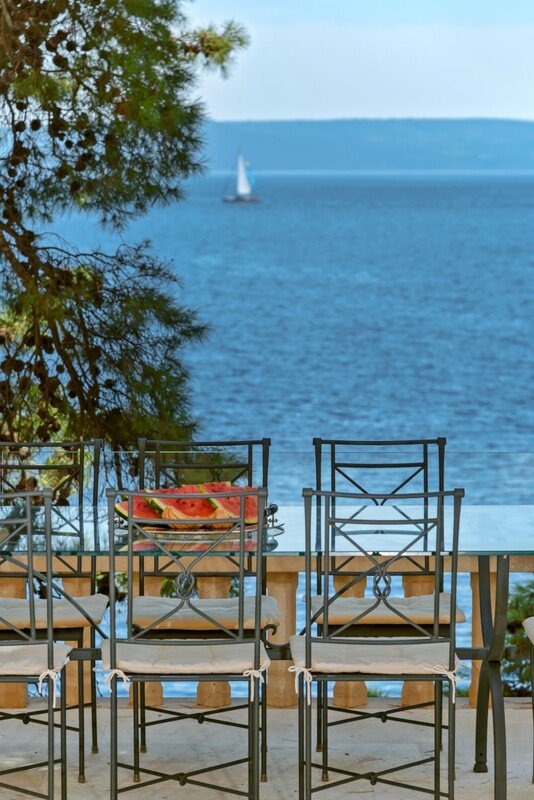 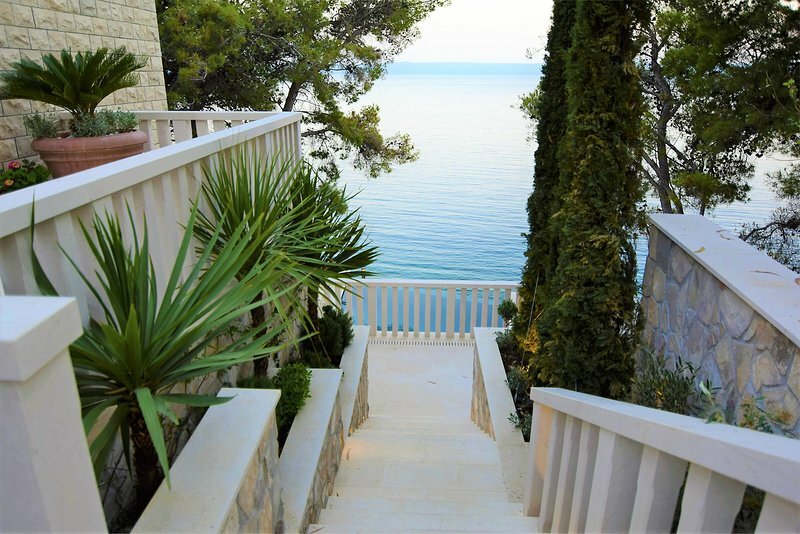 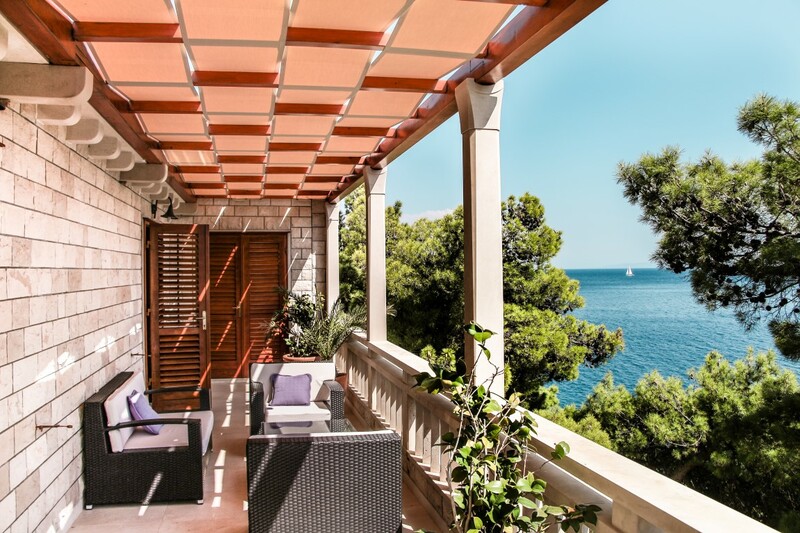 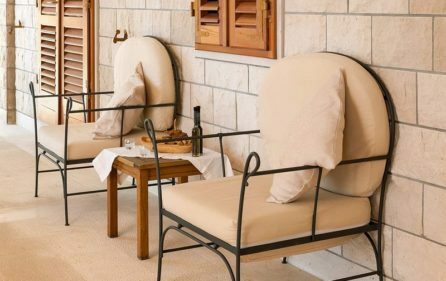 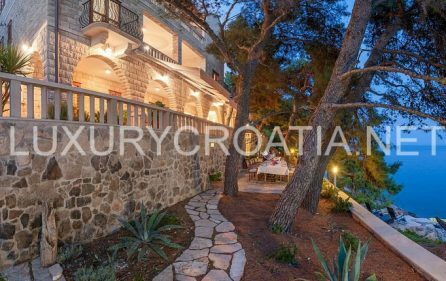 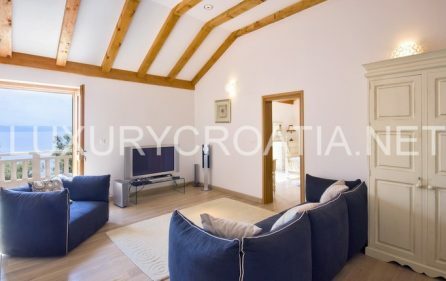 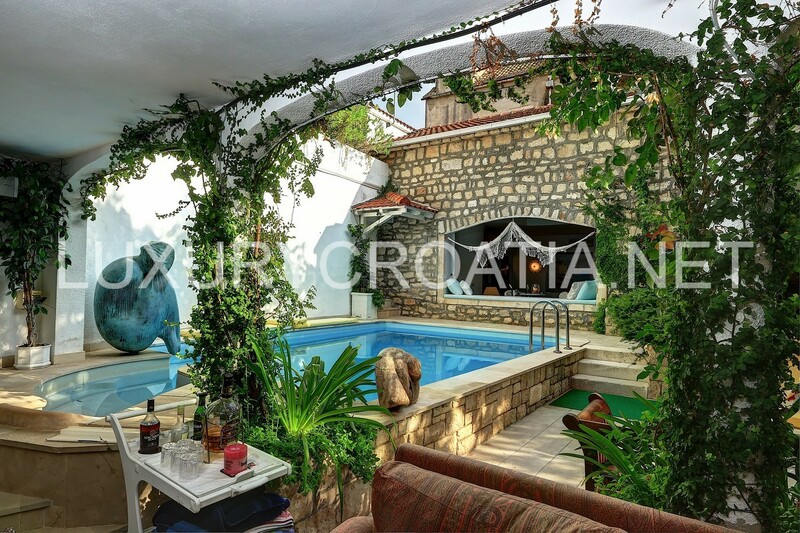 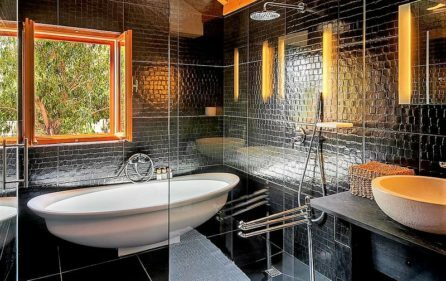 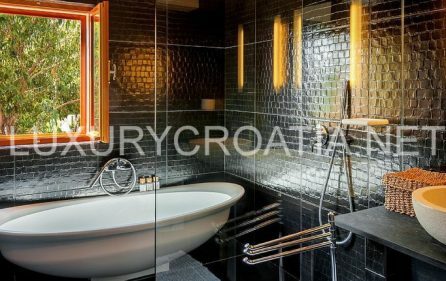 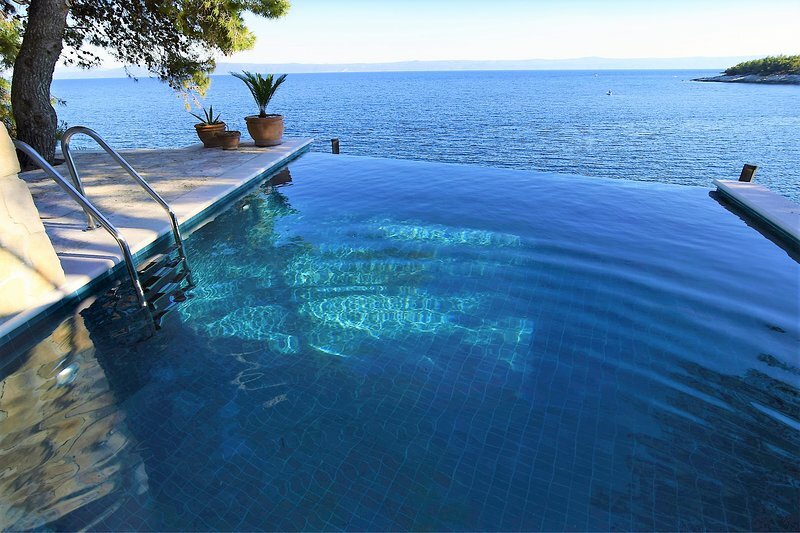 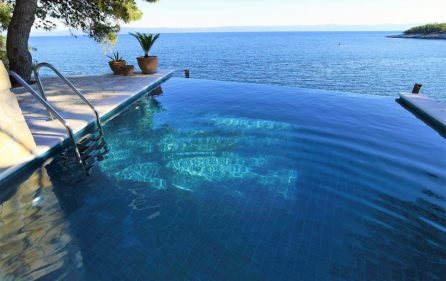 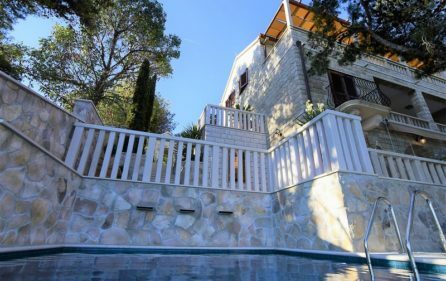 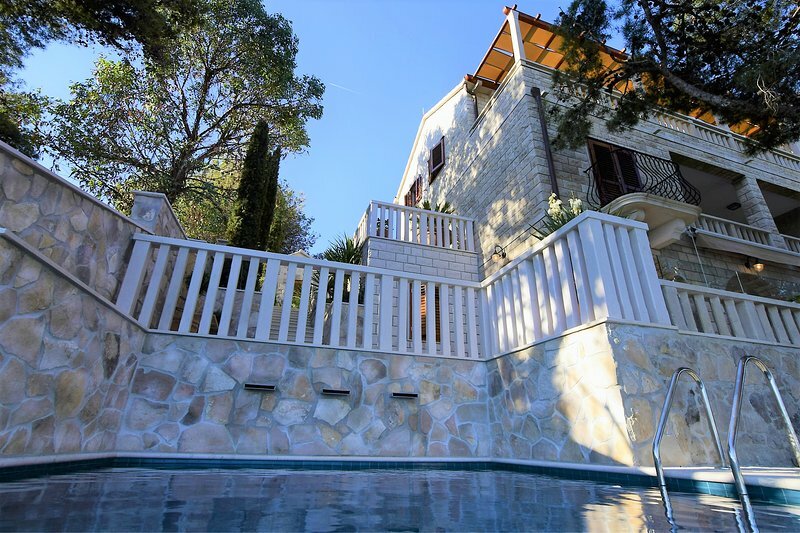 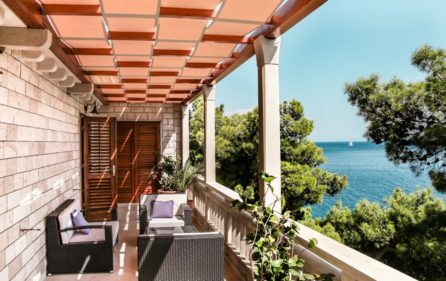 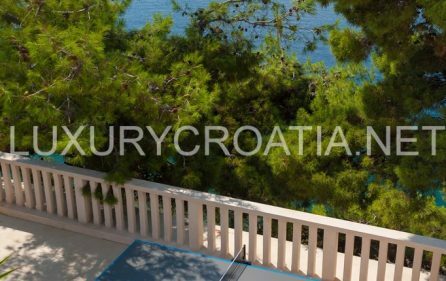 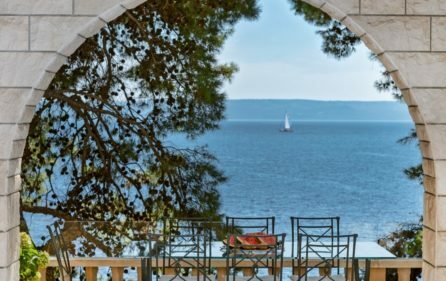 Luxury Seafront Villa, Brač Island: This is a top luxury villa, located 5 minutes drive to the coastal village of Sumartin. 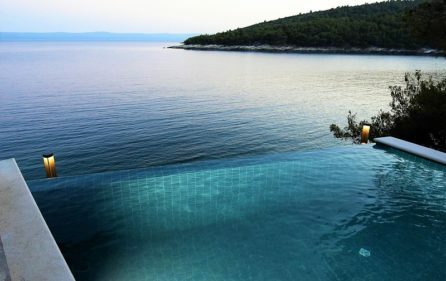 It was built of famous Brac stone. 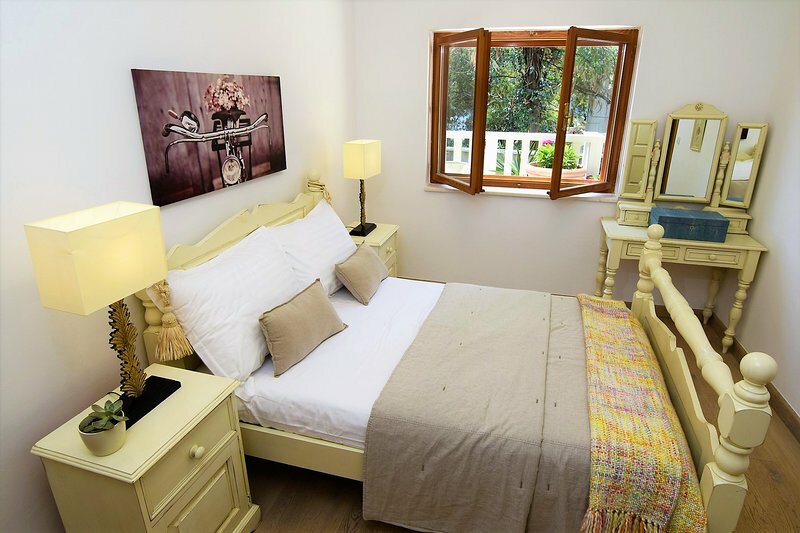 Villa accommodates 14 people in 6 en suite bedrooms and has one baby cot. 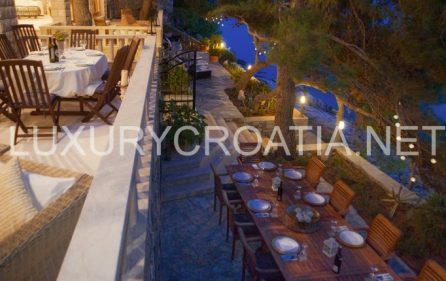 The villa is located on the seafront, near Sumartin where you will find supermarkets, green market, coffees, and restaurants. 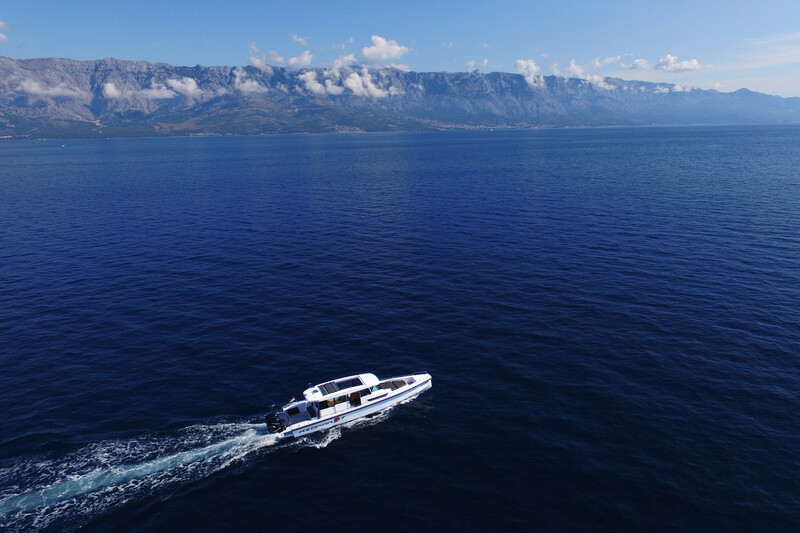 Sumartin is a second ferry port on Brac island reachable by ferry from Makarska. 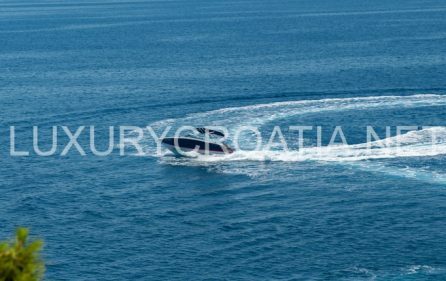 The main ferry port is Supetar, reachable from Split. 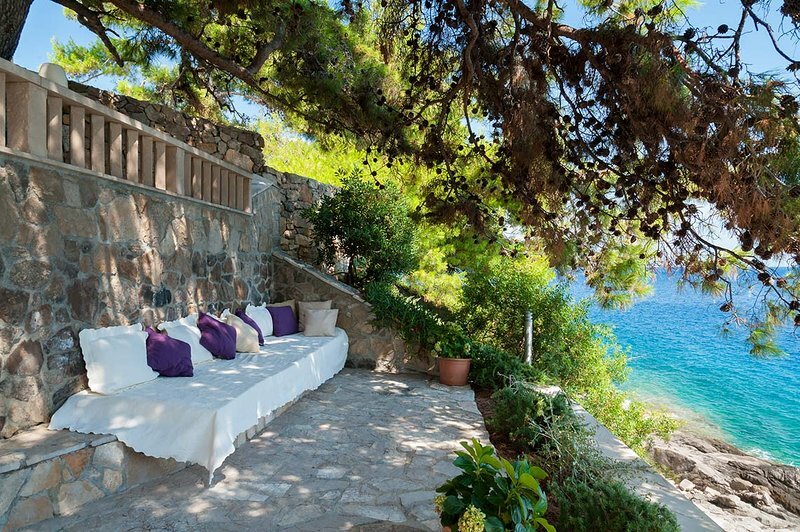 Villa has private beach stone plateau and mooring for a yacht. 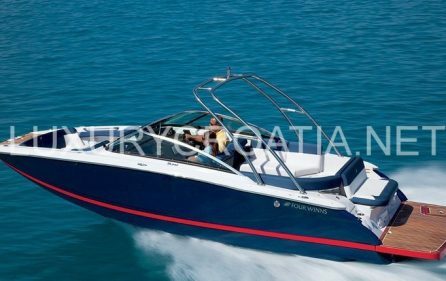 The owners own the power boat with equipment for water sports. 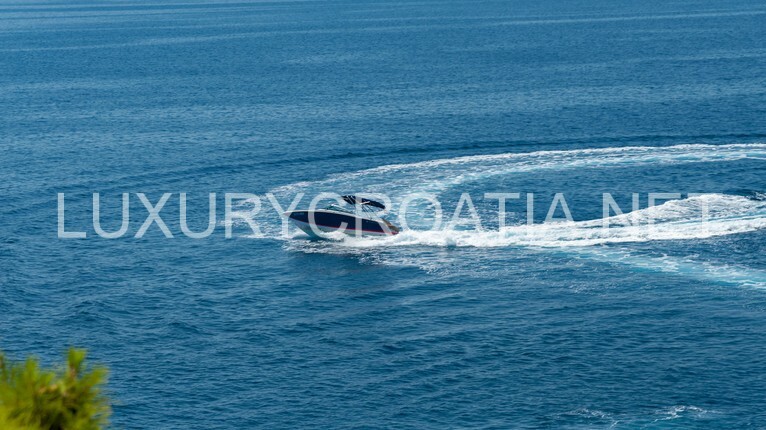 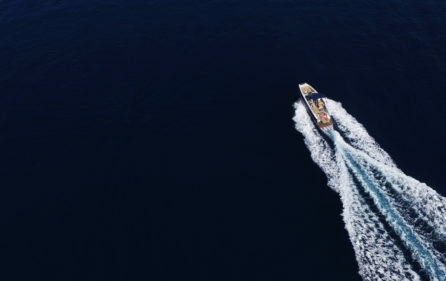 The yacht can be rented with skipper for 320€/per day for a boat and additional 70€ for skipper and fuel. 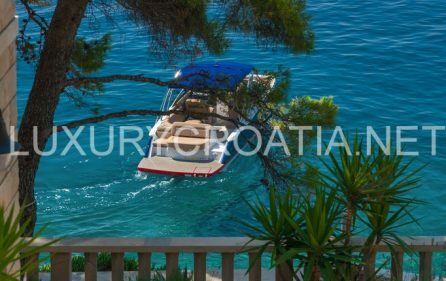 Skipper has a lot of experience and will gladly show you beautiful hidden bays, stunning beaches, and beachfront restaurants. 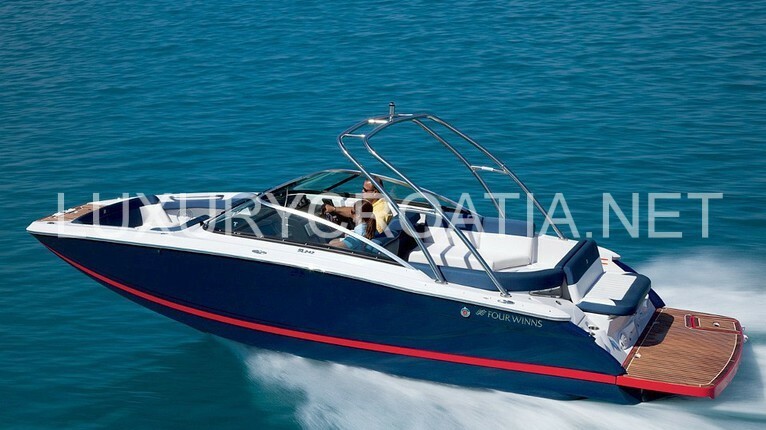 The boat can accept 14 people. 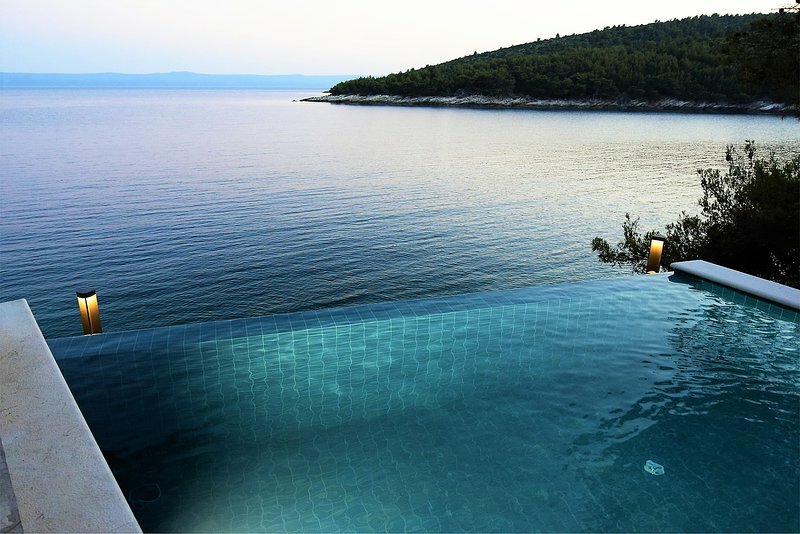 Transfer from the airport or from the coast can be arranged as well as sailing island excursions. 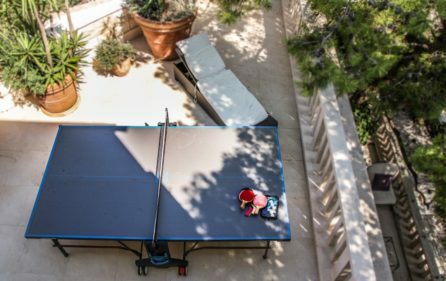 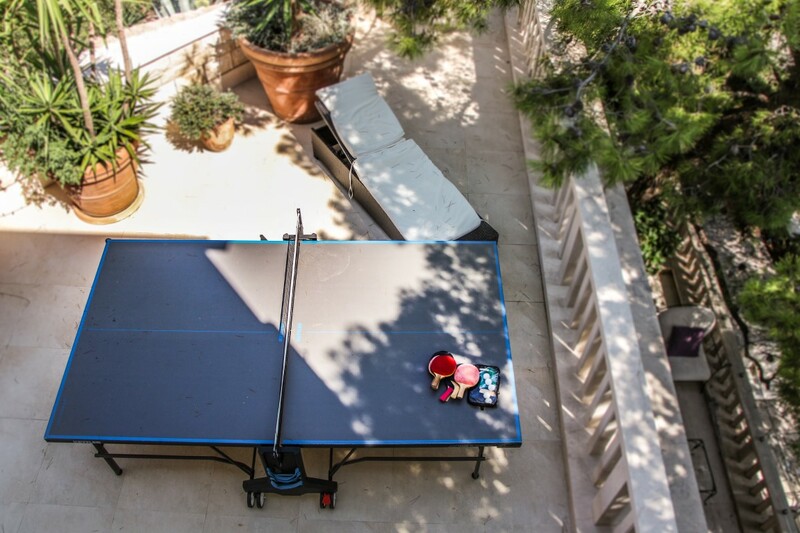 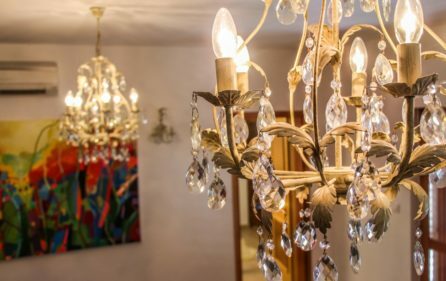 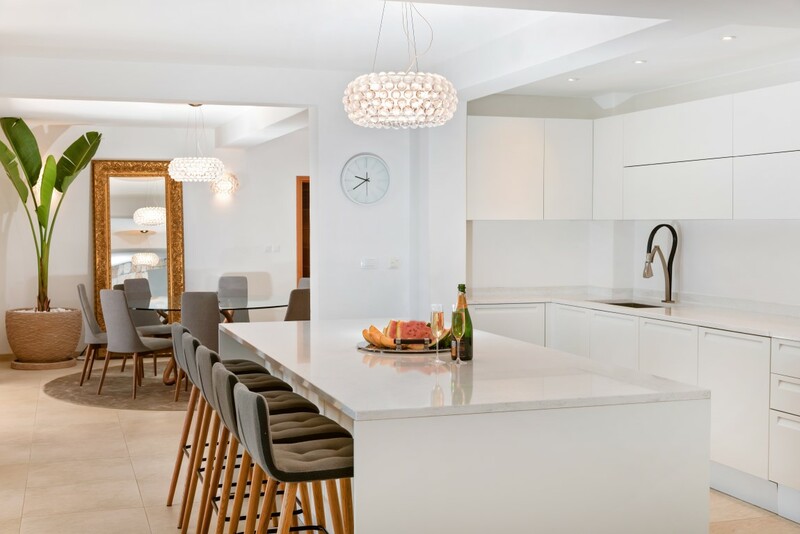 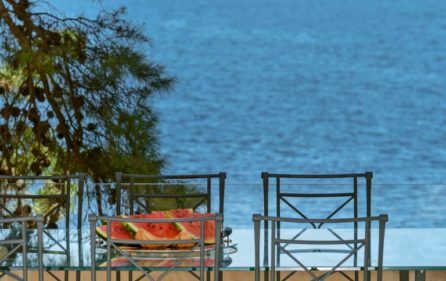 The villa is entered through the middle level where you will find three bedrooms and three bathrooms, as well as the entertainment room with satellite TV and DVD’s, are on hand along with many games including table tennis. 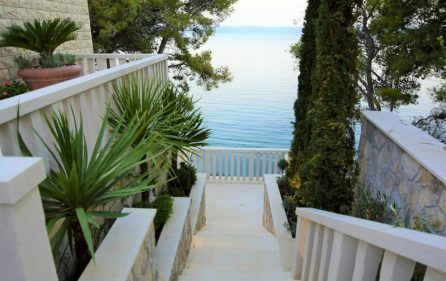 There are three terraces on this level. 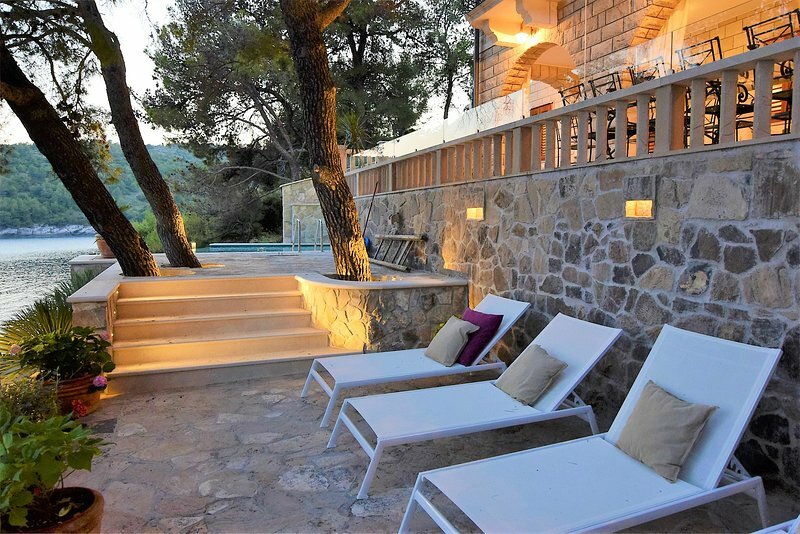 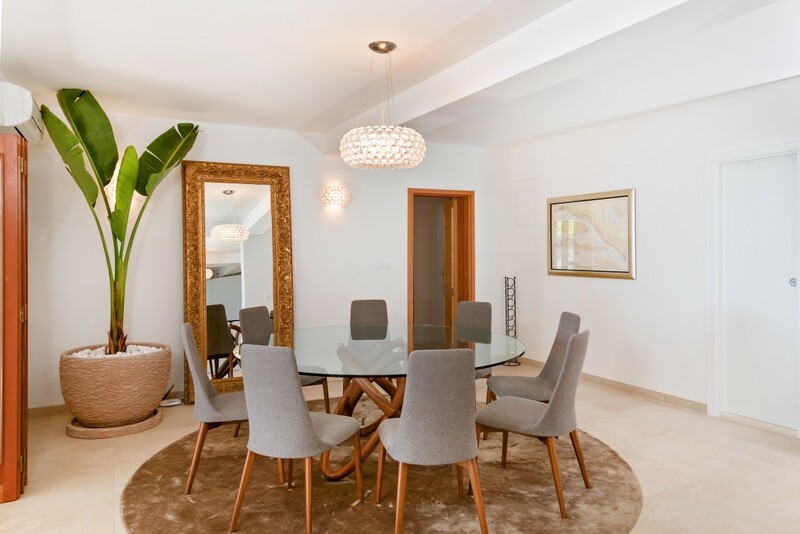 The top floor of the villa has two bedrooms and two bathrooms, a full kitchenette and sitting area with plasma tv/DVD/satellite as well as two terraces. 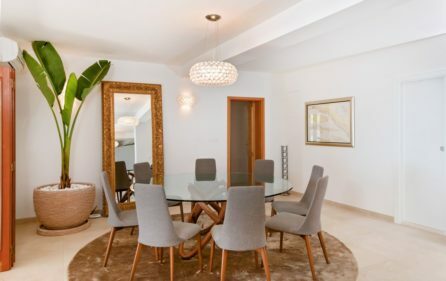 CD players and iPod docks are available throughout the villa. 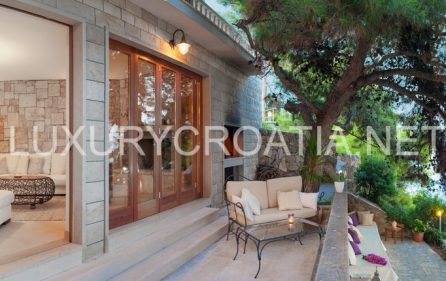 On the ground floor, you will find one large bedroom suite with queen size bed, bathroom and sitting area that has a comfortable brand new day bed and French doors leading to the terraces. 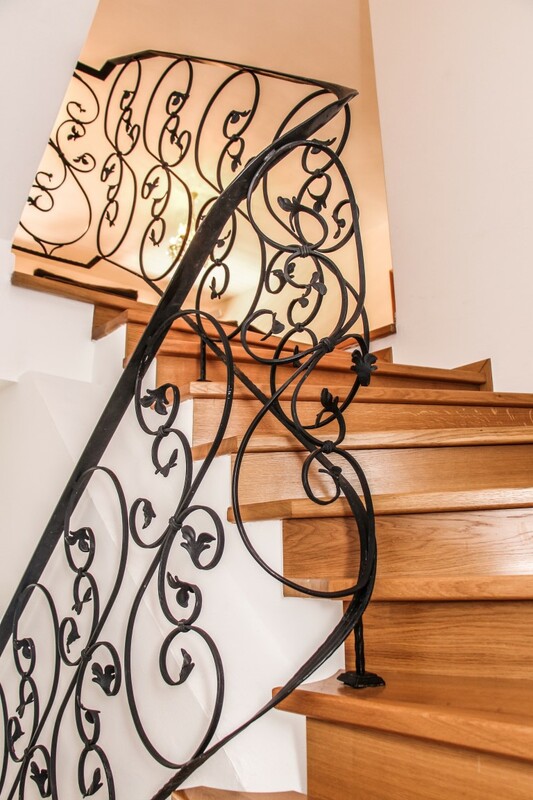 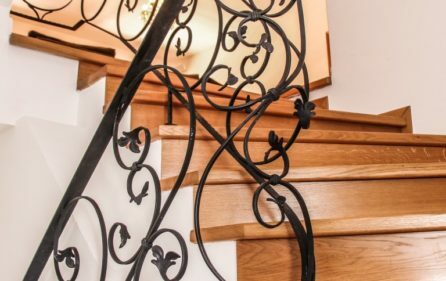 All three levels can be reached by an internal staircase. 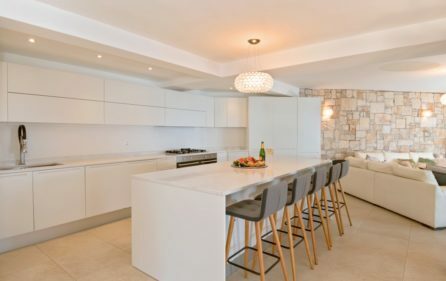 The main kitchen and dining room are on this level as well as sitting room complete with antique stone fireplace. 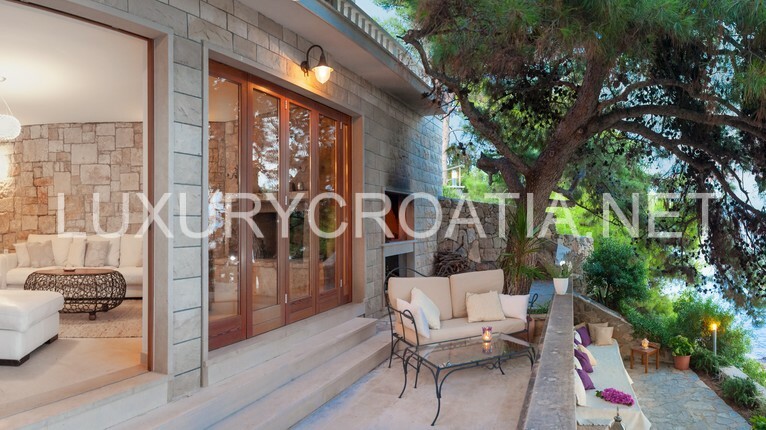 The whole ground floor has bi-fold doors that are pushed back giving the villa an indoor/outdoor feel. 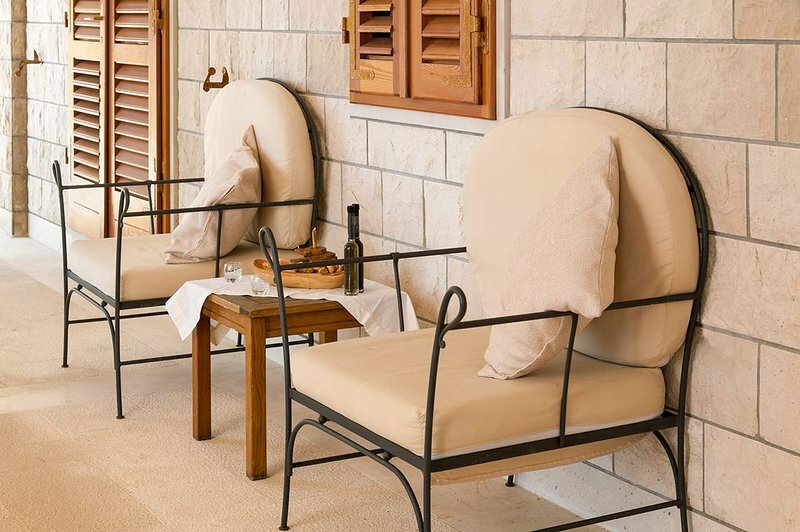 Outdoor terraces offer a lot of space for relaxing and al fresco dining with a variety of outdoor furniture. 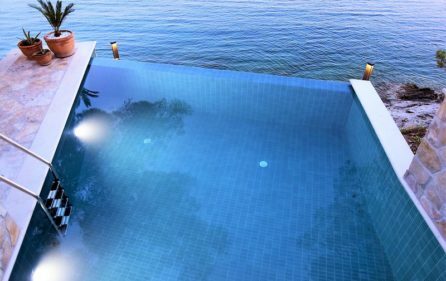 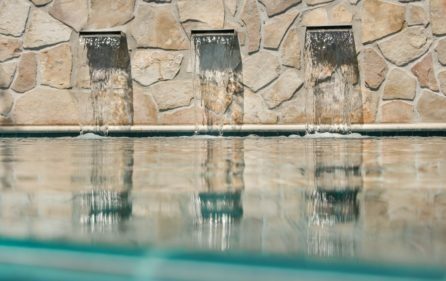 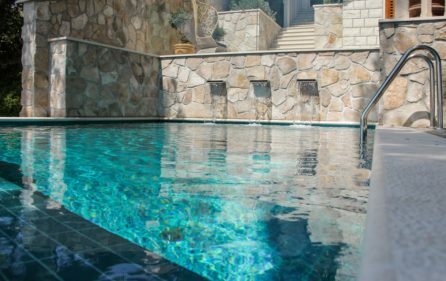 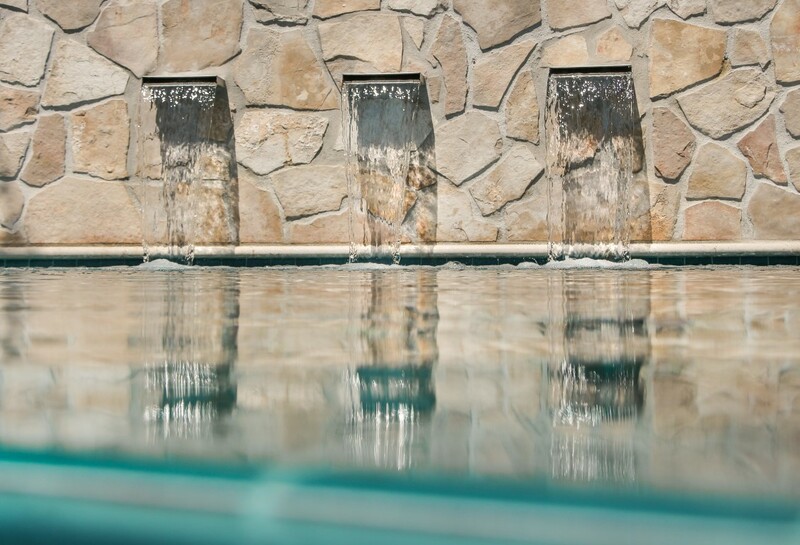 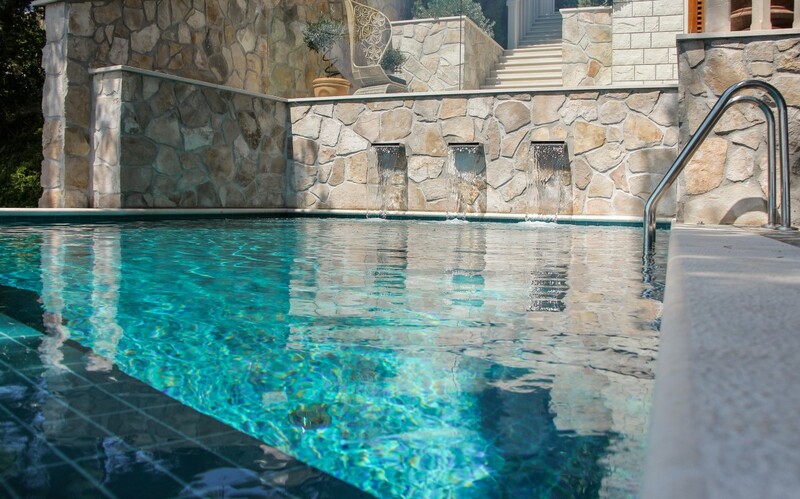 From this level, there is a lockable gate that leads to another set of terraces, one of which has a jacuzzi, a large day bed with cushions galore. 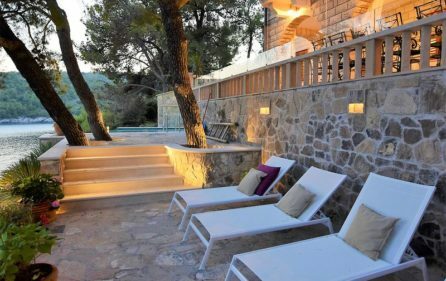 There is a number of sun loungers all along the villa terraces. 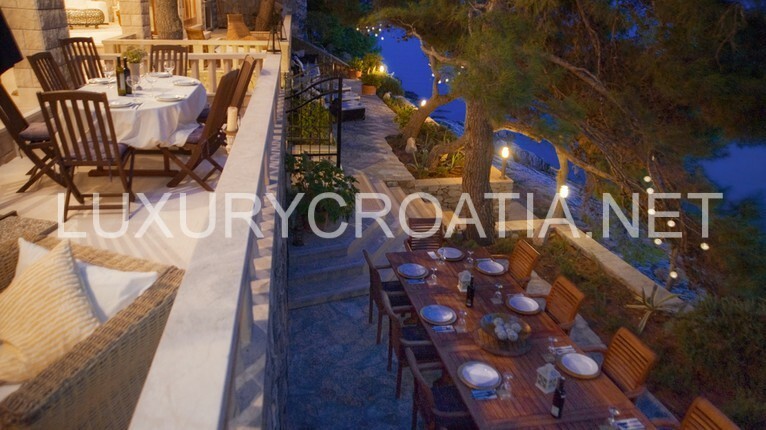 Guests can enjoy outdoor dining, there is a large dining table outside for 10 people and a barbecue. 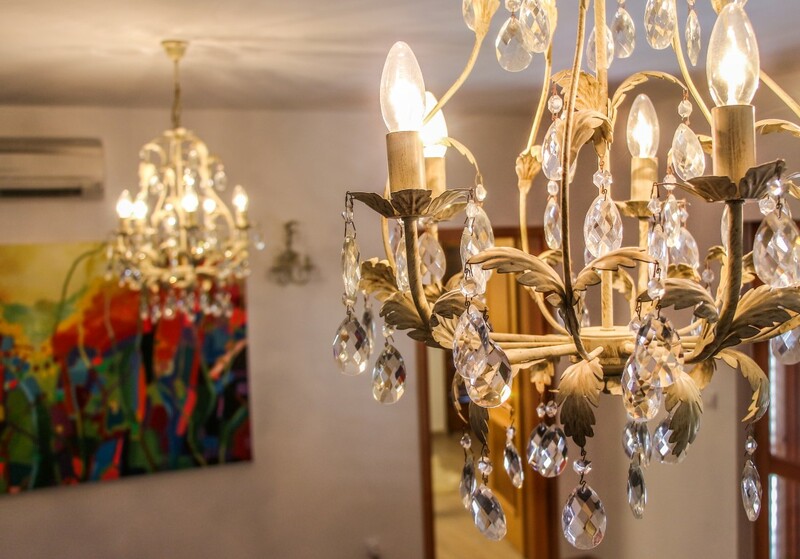 Maid service every day is included in the rental price. 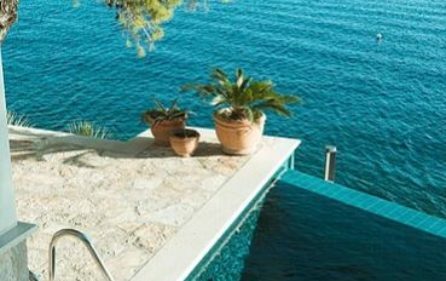 She will clean the villa and assist you in all your wishes throughout your holiday. 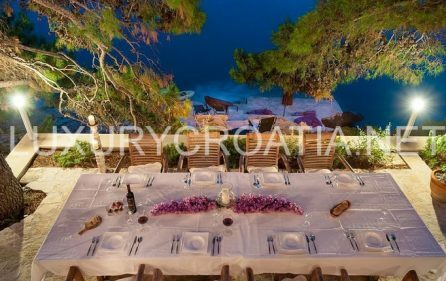 Catering can also be arranged upon request, and caterer can prepare local fresh food (pasta, seafood, grilled meat). 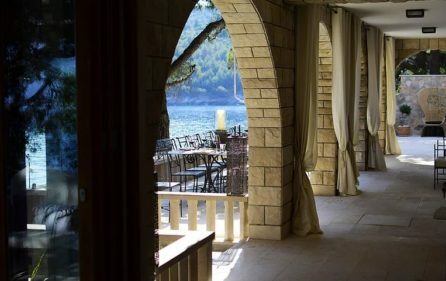 Breakfast is 20€/person, lunch 30€/person, dinner 35€/person. 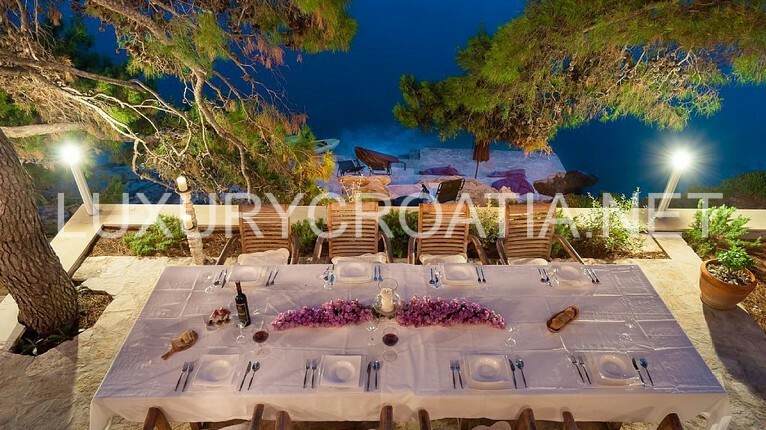 These prices include preparing of the table, waiters service and cleaning up after the meal. 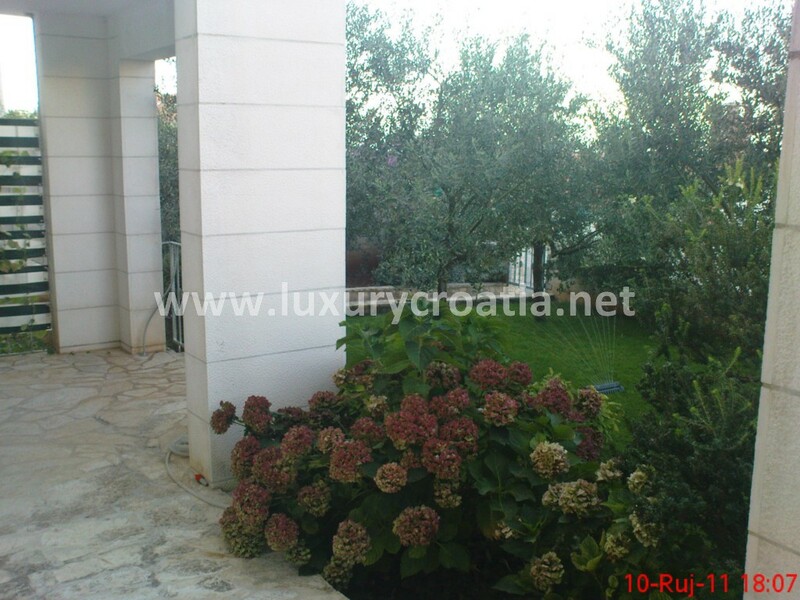 The villa has an organic vegetable garden that guests are free to use. 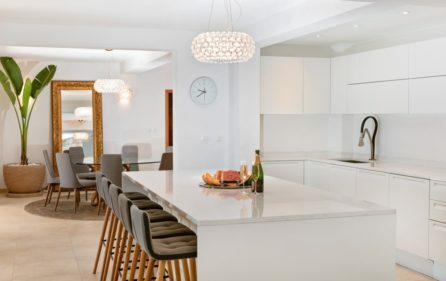 A generous welcome pack is prepared for the guests at arrival, consisting of various local food products and complimentary drinks in the drink cabinet. 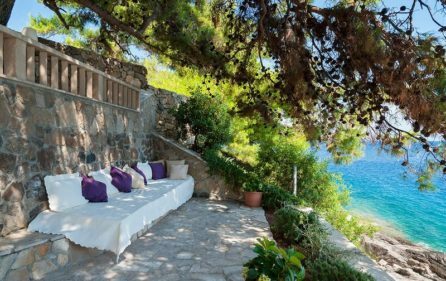 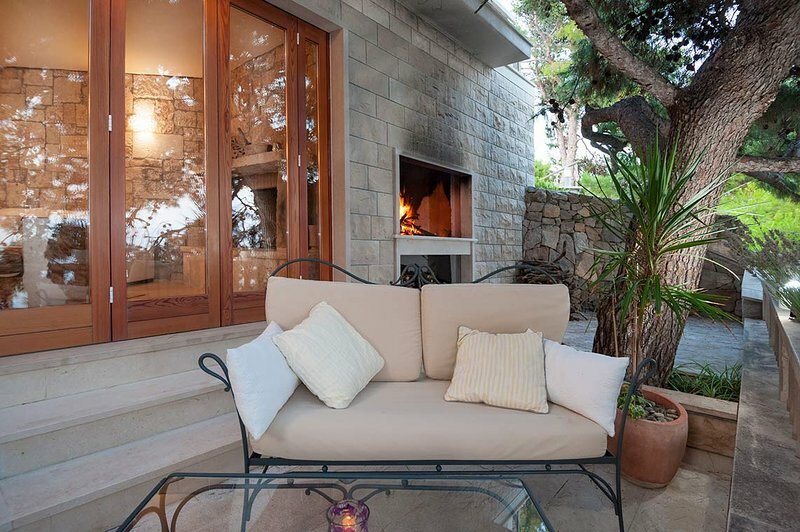 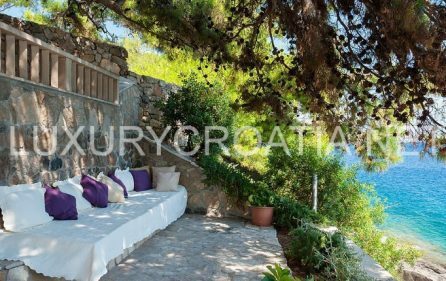 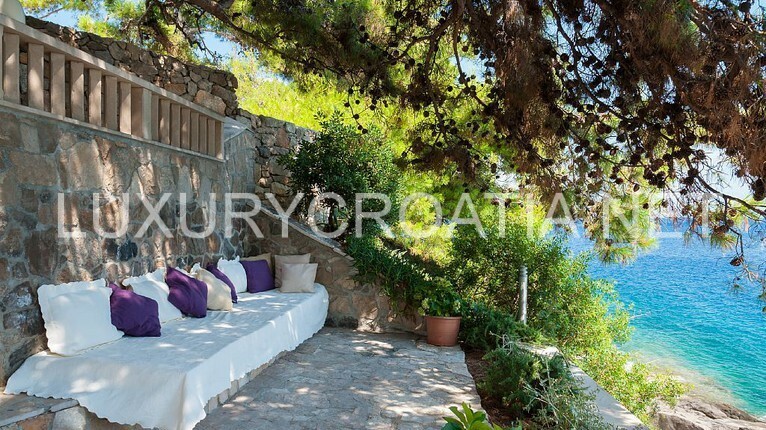 This villa offers serenity considering it was built on a headland with pine trees and wild rosemary growing throughout the garden providing privacy and shade. 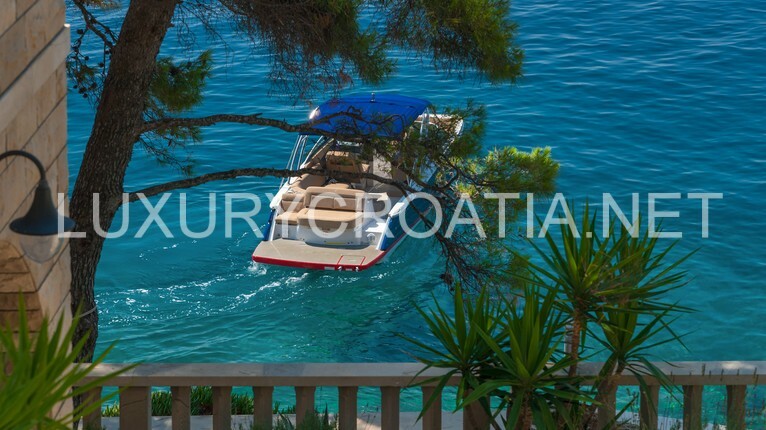 Also, the villa sits in a quiet bay in which only occasional fishing boat or a passing pleasure boat.